What is your blog address? What subjects do you deal with? http://www.nylongene.com/ (The Nylon Gene). This is a business blog, associated with ActivSkin Legwear for Men (http://www.activskin.com/), but it is also an advocacy blog for a new trend/concept in mens wear that is growing, but needs a champion to move it further along toward general acceptance. Let me explain. 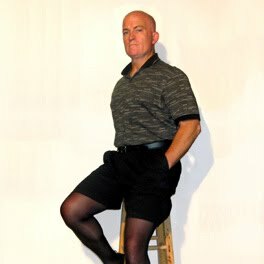 ActivSkin started selling legwear for men (i.e., sheer pantyhose, opaque tights, stockings and sheer knee high socks) in 1999 because it became apparent that there was an emerging group of men who had been wearing women's pantyhose for legitimate, practical reasons that had nothing to do with cross-dressing or fetishism. The company was immdeiately successful in marketing this concept and has experienced consistent growth since then. However, 10 years after, we find ourselves near the limit of growth without making the existence of men's legwear better known to the public at large. When I joined ActivSkin as the marketing and publicity director, one of my primary thrusts was to start this blog to get the word out to larger groups of people. I'm aiming not so much at those men who already wear legwear, but those who may have heard about it in a news article, learned of it through a friend, or maybe a wife who's husband wears it who wants to learn more about the reasons for it. I post articles discussing the various practical reasons why men are wearing legwear these days, with supporting information. There are also examples of regular guys wearing legwear while going about their normal activities, and I also include links to new articles or television/radio pieces that appear--along with some commentary. What was it that made you create your blog? On what date did you start it? The first post on The Nylon Gene was on March 23, 2009. It was entitled, "Welcome to The Nylon Gene". Very original wasn't it? As I said before, this is ostensibly a business blog that was started following my joining ActivSkin as the new marketing and publicity director. While we are certainly aimed at increasing the sales of ActivSkin tights and pantyhose, we believe that will come naturally as a result of growth in the overall men's legwear trend. Therefore, the primary goal isn't to write exhaustively about ActivSkin. It is to become THE clearinghouse for all things related to men's legwear so that as many men as possible discover this trend. Not everyone who learns of it will become a fan and start wearing tights or sheer hose. We don't know what percentage of men would ultimately be willing to try it out, because there is still a lingering social stigma attached to men wearing pantyhose. Because of our efforts over the years, that has largely dissapated, but not so much that there aren't many men who say they would never put a pair on simply because they are afraid of what their buddies MIGHT say if they found out. Our goal is to completely eliminate any traces of that stigma, so men can feel free to try out a pair of tights and see what they think. Probably more than half will not like them--at least at first--and never try it again. But we believe that a sizeable percentage would like how they feel and appreciate the benefits they provide, such as: leg support or making them feel energized; warmth-without-bulk; base layer protection in cold weather, etc. We believe that if the mental constraints were not in place, there's no reason to believe that men might wear tights or sheer hose in about the same proportion of the population as do women. What blogging system have you adopted and why? I use Google Blogger. Before starting this, I learned as much as I could about blogging so I would get started on the right foot and not have to go back and reinvent things. I asked our IT person, who is quite web-savvy, whether we should use a blogging package or one of the hosted services and his answer was hands-down the latter. Blogger seemed to have the most to offer in the way of related applications, such as Analytics, etc., so I chose it. It has been a good system and I'm happy I went with it. I can't say it's definitely better than WordPress or some of the others without having actually used both simultaneously, but I'm not regretting my decision at all. How many visits a day do you get? What type of comments do you receive? The blog instantly picked up quite a few visitors because of the novelty of the subject. It's something that catches peoples eye and they want to read more about it. But we've maintained and expanded that level of traffic since then. We are currently seeing around 300 visitors per day, about 150 of which are new visitors. I receive a wide variety of comments, depending on the article I post. Some may get 30 or more comments while others receive only one or two. One of the most active was one where I discussed what generic name would be best to use for men's pantyhose (e.g., tights, mantyhose, hose, etc.). I included a poll and posted the results as well. I try to publish new content every other day or so, with at least one new thing every week. How has 'having a blog' contributed to your life? Since this blog is directly related to my new profession, it is a huge part of my life. One of my job responsibilities is to maintain fresh content for The Nylon Gene. I enjoy it very much, so it doesn't seem like a chore, or a 'job' at all. It's also brought me in contact with quite a few people who share a desire to promote the men's legwear concept, and it's always nice to encounter like-minded people who share your interests. Have you created relationships with other bloggers or readers of your blog? As I alluded to in the previous question, I have gotten to know a number of people that share an interest in promoting and advocating growth of the men's legwear trend, through the blog. Since I also use various social media applications also, they all tend to cross pollinate one another. In the early going, this also helped my wife become more comfortable with being in the limelight associated with something like men's legwear. While supportive, she was initially concerned over what people might think when they learned I was marketing men's pantyhose. So, reading some of the great responses I received from other "regular guys" was encouraging for her, too. How often do you post? Does regular posting of your blog require a lot of effort on your part? I try to post something on average every other day or so. I at least post something new each week. When I'm busy trying to pursue other tasks, it is sometimes difficult to devote the time to it. However, I never seem to be at a loss for ideas of something to post. I'll have ideas flash into my mind where I think, "that would be a good ideas for The Nylon Gene". I may not have time to flesh it out, so if I'm at my computer and on the web, I'll just open up Blogger and create a new post and do a little 'brain dump' and save it as a draft. I've got at least a half dozen partially created posts sitting there waiting to be finished, or tweaked a little. That makes it nice when I DO have a little writer's block and haven't posted lately. I can just go to the 'Drafts' and pick one of those to finish up and post. Some bloggers go for the 'stream of consciousness' approach (kind of like Twitter), where they just post lots of little blurbs as they come across their minds. That's fine for some situations, but I don't think it would be that useful for what I'm trying to accomplish. 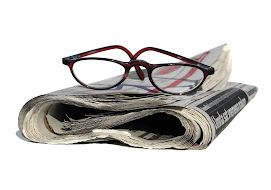 Therefore, I treat each post like an article I would write for a magazine or newsletter. I try to find an interesting picture or graphic to pair with it--or maybe several if they add to the context. And I take care to use good grammar and write in an active style that will engage readers. I think the overly informal style can get to be a bit of a nuisance after reading it for too long. Does blogging bring in income for you? Can one make a living from posting? Mine brings income only from the sense that I'm being paid a salary and part of my job is to do this blog. Unfortunately, that evokes a mental image of my boss telling me, "go do your blog." But this is still a 'labor of love' in that it was my idea to create it, and I would probably continue to post to it if I were not working for ActivSkin... I just would not have nearly the amount of time available to commit to it. I know there are opportunities to make additional income from the blog ads and such, but I've chosen, so far, not to avail myself of them. We are exposed so such a flood of ads every place we go these days. I'd like for visitors to The Nylon Gene to be able to come there and read what I've got to say without having to slog through a bunch of blinking messages or sponsored links. They know I'm promoting ActivSkin, but that's more my implication than by overt pushing. I use Twitter and post a Tweet just about every time I post something new. When I do, I include URLs shortened with Bit.Ly that will take them to the specific post I'm referring to. I also do similar whenever I see a Tweet using keywords like 'mantyhose'. I'll respond, if appropriate, with a comment and a suggestion to learn more about 'mantyhose' at The Nylon Gene and include the Bit.Ly URL (http://bit.ly/Yu3c8). I also use Google News Alerts to find new things related to men's legwear. If appropriate, I comment on the article (or blog post) and suggest those interested in learning more visit The Nylon Gene (www.nylongene.com). Since I am also engaged in writing press releases for distribution to various media outlets, in an effort to promote additional coverage of the men's legwear trend, I include not only links to ActivSkin but to The Nylon Gene as well. There are links to my blog on the ActivSkin website, as well as most of the major blog sites dealing with men's legwear from an insider's perspective, such as e-MANcipate.net, Legwear As Unisex Fashion forum, etc. An, of course, there's a link to it included in my email signature line, so that anyone I correspond with will see the link. My business cards were made up before I launched the blog, so I had a few sheets of tiny labels made up with the URL and added them to my existing cards. How would you define your readers? Have you got a faithful audience? Many of my readers are guys who already wear legwear and are looking to keep up with the latest items--even though I said earlier that my primary focus was on the unitiated who may be looking for information after encountering 'mantyhose' somewhere else. Nearly 50% of my readers are new visitors however, so I think I'm accomplishing that goal, too. I currently have 71 followers, who are people who have clicked on the "Follow This Blog" link and entered some profile info. So, I guess you could say that I have a pretty good mix of faithful followers and new traffic. Are there any blogs you follow daily or regularly? I keep tabs on what's going on with the 'insiders group' by visiting Delphi's Legwear As Unisex Fashion (LAUF) forum (http://bit.ly/1iFGrp). I visit Newsvine, and sometimes contribute as well. There's a blog called Female First UK that's had a long-running post (since 2004) on the question of "Women's Views of Men Who Wear Tights/Pantyhose" (http://bit.ly/1R8Px3). Since it's been going on for so long, and there have been some quite thoughtful posts to it, I visit it whenever something new is posted. There's another in the UK by Geraden (http://geraden.blog-city.com/) that also includes posts by men who already wear legwear and share their experiences with others who may not yet be confident enough to do so publicly. One of the most notable among media outlets is http://www.e-mancipate.net/ The e-MANcipate site has been in existence for several years and has captured the notice of the press, especially in the UK. It is hosted by a Hungarian by the name of Chan Kraemer, who has some expertise in film-making and photography. It focuses more on the strictly fashion aspect of men's legwear and features photos of men wearing patterned tights with fashionable outfits. It's not very actively updated, but the eye-catching photos seem to have enamored the press because they tend to use them whenever a story about men's legwear comes along and they need images. As I said, it's not actively updated, so I don't visit it frequently. Most of the other ones on my Google blog reading list are entries from those I have posted comments, so I can keep up with the discussion that follows. I may or may not become a regular reader of any given one. How do you see your blog evolving in the future? I hope to see The Nylon Gene become the first place journalists or TV/radio producers go when they need background information for a story on the men's legwear trend comes up. I'll continue to post newsworthy items, product news from ActivSkin. I've been planning to add a 'Readers Write' page, where I post some of the more interesting letters and emails I've recieved from readers or ActivSkin customers. I'm also working on a page with photos submitted by readers showing men's legwear visibly worn in public areas, to encourage those who are new to it that may not be entirely confident about wearing this still unusual attire. The goal here is to let people see how many men are already wearing legwear, so that it doesn't seem to be quite so much a 'fringe' concept. We know from our sales data that there are a large number of men who wear legwear, but many either wear them under long pants, or they closely match their skintone. So, the general public doesn't realize how many are already out there wearing it, because most guys aren't going about on street corners telling about it. The photo page will help reinforce this knowledge. What advice would you give to someone who wishes to begin a blog? The first thing I did when I decided to start a blog was to go to the library and get several books to learn more about it before starting. It's much easier to start off on the right foot than it is to learn that you should've done it another way and have to go back and change everything while still maintaining the blog. A very useful book was "Buzz Marketing with Blogs for Idiots" The 'for Idiots' series is well written from a beginners perspective. You can navigate through it pretty quickly and get yourself ready to go without spending months doing so. I secured the domain name, www.nylongene.com early on, before someone else got it, because I wanted something that was simple and easy to remember/communicate to others. As you can read in one of the posts (http://bit.ly/1Ta5s), it's part of an inside joke among legwear wearers, and it's catchy, too. On Blogger, you can redirect it so you don't have to have the www.______.blogspot.com in the name, which makes it much cleaner when sharing the URL with others. When I've appeared on TV or been interviewed on radio, this had made it much easier for me to give the name of my blog and have people actually remember and find it.